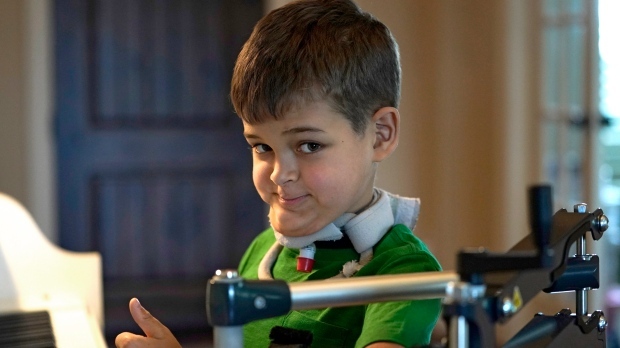 NEW YORK -- One morning last fall, 4-year-old Joey Wilcox woke up with the left side of his face drooping. "It's devastating," said his father, Jeremy Wilcox, of Herndon, Virginia. "Your healthy child can catch a cold -- and then become paralyzed." Most had a cold-like illness and fever, seemed to get over it, then descended into paralysis. In some cases it started in small ways -- for example, a thumb that suddenly wouldn't move. Some went on to lose the ability to eat or draw breath. And while doctors have deployed a number of treatments singly or in combination -- steroids, antiviral medications, antibiotics, a blood-cleansing process -- the CDC says there is no clear evidence they work. Meanwhile, Fauci's agency has put out a call for researchers to apply for federal funds, and is tapping a University of Alabama-anchored network of pediatric research centres to work on the illness. Record count reported for mysterious paralyzing illness in U.S.